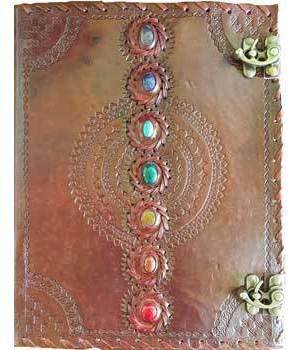 This beautiful Leather Embossed Journal with 7 Chakra stones is a great way to display your writing or drawing skills! Makes a great display as well. Comes with 400 pages of handmade linen parchment paper!